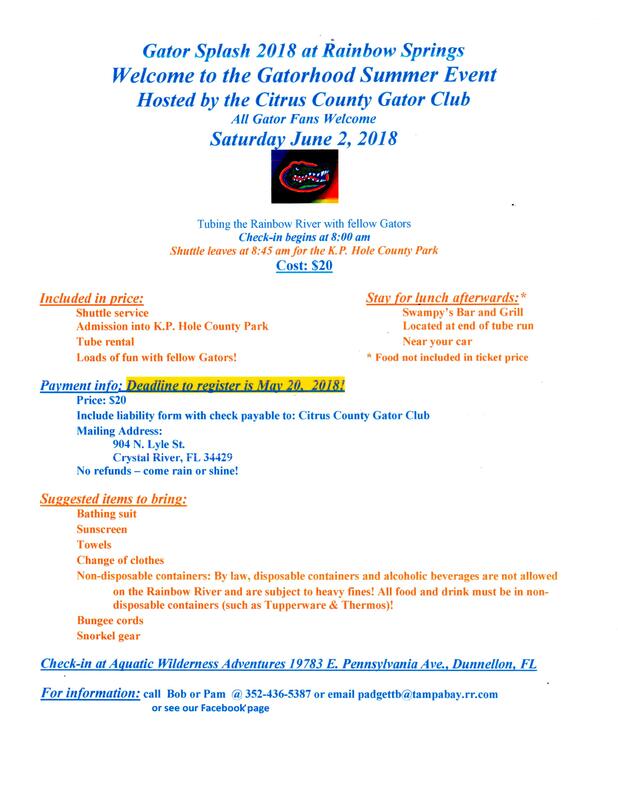 The mission of the Citrus County Gator Club® is to foster and enhance the relationship between the University of Florida, its alumni, students and friends and to support the university's mission of teaching, research and service. Upon the completion of our scholarship fundraising campaign each year, a committee determines how to distribute the local scholarships based upon academic performance or financial need. 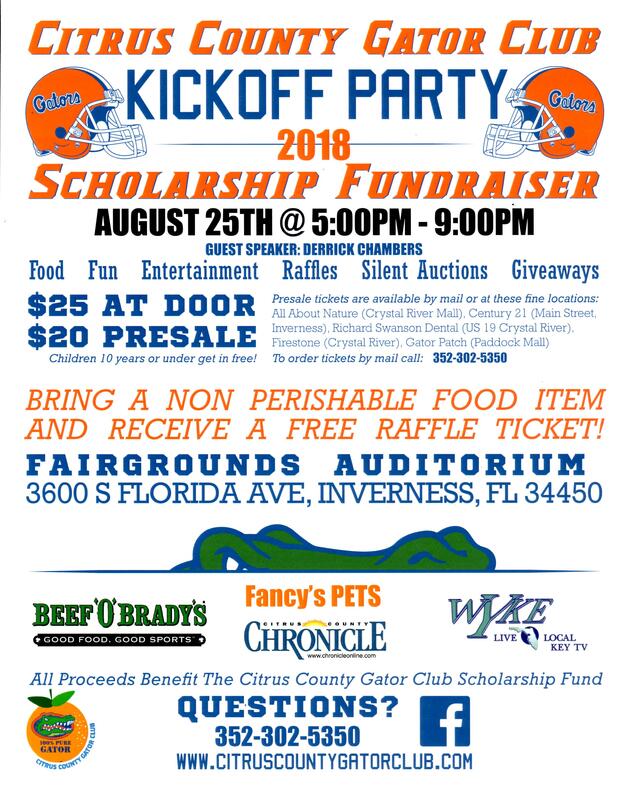 Each student recipient from the 3 major high schools is given a $1,000 Scholarship to the University of Florida from our club. Be sure to go check it out and LIKE us. We will be using this page to keep all of you informed of upcoming events and other fun stuff! You can even share your GATOR moments with us! 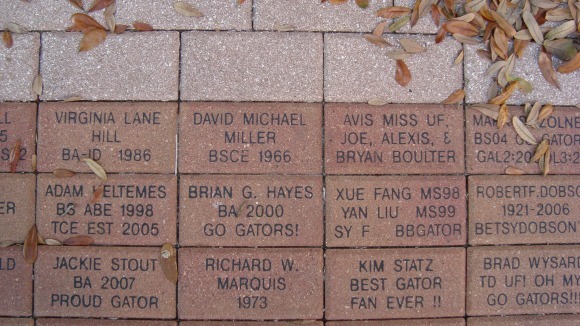 The Emerson Alumni Hall Plaza brick paver program offers you an opportunity to support the University of Florida while becoming a part of UF's history. You can honor relatives, businesses, friends and organizations, or purchase a paver to commemorate a birthday, anniversary or graduation day. A special memorial area enables you to honor a loved one who has passed away. Each brick purchased from your club area will generate 25% (of the purchase price) back to the club. 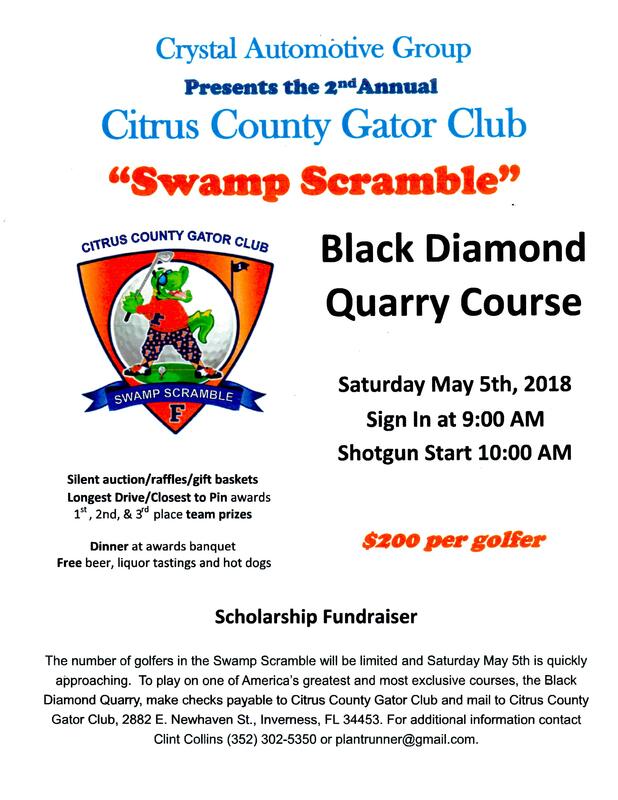 If you are interested, please contact the Citrus County Gator Club® via email and we will mail you a brochure. You can also visit the UF Website for more info or an on-line entry form. Sign up now to secure your legacy at the University of Florida and support the endeavors that continue to make UF stand above all the rest. UF has just 5000 pavers available so order today.